Jesus tells us to "go into all the world and preach the Gospel to all creation" (Mark 16:15). 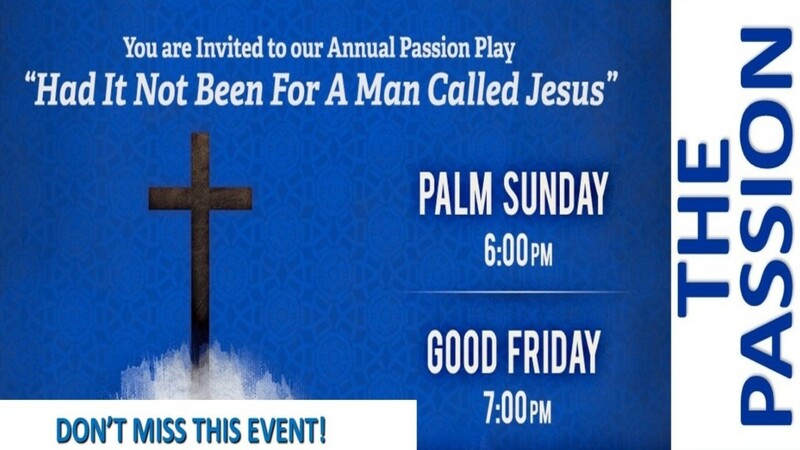 This Easter, why not invite someone to join you at Trinity's annual Passion Play? This high quality production tells the greatest story ever told in a manner that will keep you on the edge of your seat. But unlike other theater, this show brings you into the action so you feel like the events are happening all around you. It is a great way to truly appreciate the season and is also a fantastic opportunity to introduce the gospel to a friend or family member who doesn't even it. And just like the gospel itself, the show is absolutely free! ​THERE WILL BE TWO PERFORMANCES! ​The Palm Sunday production includes the resurrection. ​Good Friday production ends after the crucifixion. ​Be sure to arrive early to get your preferred seat!